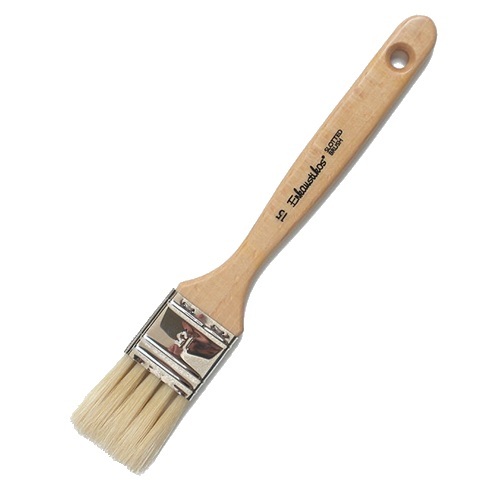 This brush was specially designed to apply large, bold, textured strokes of wax paint rapidly. 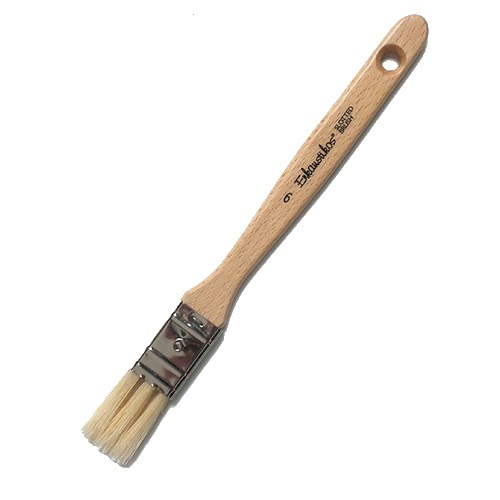 Used with a heat gun, the slotted design allows the hot air of the heat gun to flow through the brush, keeping paint fluid on both sides of the brush during application. 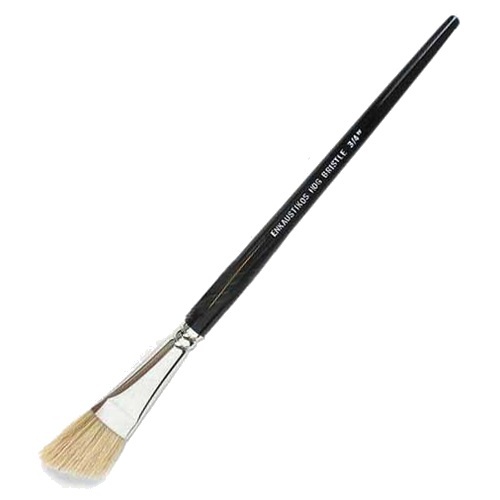 Made of Pure Chungking Hog Bristle, and not brass filament, these brushes do require different handling in order to protect the natural hair from intense heat. Natural hair will singe if the heat source is too close. With the proper technique, this brush will apply large, bold, textured strokes of wax color rapidly.